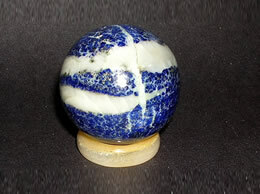 This beautiful deep blue Lapis Lazuli stone has been used extensively by people in the early ages. Lapis lazuli was used by the ancient Egyptians and the Greeks for its mysterious metaphysical properties. Lapis lazuli is not a stone one ordinarily likes exactly the moment one sees it, but its deep, cryptical energies slowly attracts the person receiving it. 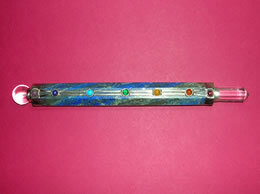 Lapis Lazuli stick when used while meditating connects one with cosmic/heavenly energies. Lapis lazuli is also believed to provide protection and shields the wearer from negativity. Lapis Lazuli tumbled stone will help you to purify lower energies from your body and align it with higher, healthier vibrations. The energy of lapis lazuli can also helps you to become more alive, energetic and lively. 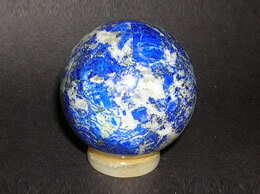 Lapis Lazuli ball when placed in your child's bedroom or study room helps them to grow intellectually, successfully and into an unshakable person. 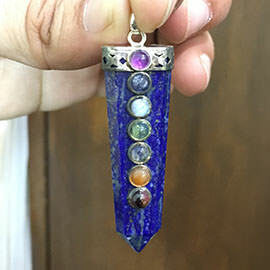 This gorgeous 7 chakra Lapis lazuli pendants with gemstone can be easily worn as a jewelry. 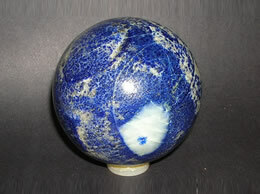 The excellent polish done on the lapis lazuli stone gives it a vibrant blue color.